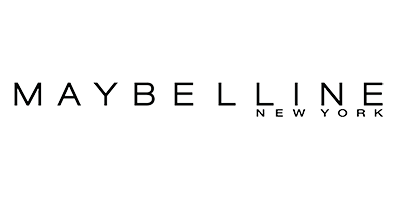 Maybelline New York is America’s number one, world-famous cosmetics brand, offering an impeccable range of makeup products and nail varnishes which effortlessly enhance your natural beauty and boost self-confidence and style. Maybelline was founded in 1915 by 19-year-old entrepreneur Tom Lyle Williams. He saw a gap in the market for eye makeup, after his sister used only a combination of petroleum jelly and coal dust to darken her eyes – and did you know, he named Maybelline after his sister Mabel, too! Known for their on-trend expertise and technically advanced formulas, they have provided us with modern makeup innovations that capture the heart of city glamour with a cool and urban edge. With over 200 products on offer, including skin-smoothing foundations, magnifying mascaras, lusciously pigmented lipsticks and more, you can browse an astonishing array of formulas at an affordable price. Find your makeup must-haves and create show-stopping looks with Maybelline.